Reviewed by: Willie Mangum. Jr.
Is there a Biblical mandate that all Christians be involved in a local body of believers if possible? Can a Christian survive apart from a church? The film “The Second Chance” opens under the credits with scenes, vignettes if you will, of gritty, inner-city realism, setting the stage for this “walk a mile in my shoes” story of personal integrity and obedience to the call of God in a fallen and broken world. Contemporary Christian music artist Michael W. Smith makes his feature film debut as Ethan Jenkins, the wayward son come home and heir apparent to the pulpit of The Rock, the ministry empire of his father, Jerry Jenkins (J. Don Ferguson). The elder Jenkins is building a worldwide ministry, planting churches all across the globe for the sake of the Kingdom. His first church plant, a small, struggling congregation on the wrong side of town, has become a local ministry focus as The Rock provides much needed funds to run outreach to the down and out of the inner-city. Jake Sanders (Jeff Obafemi Carr) is the pastor of this church, hand-picked by the elder Jenkins to be his youth pastor and, now, pastor of this work. Through circumstances that are not altogether clear, we see the younger Jenkins thrown into partnership with Jake, against both his and Jake’s will. Will he survive this ordeal and take his rightful place at The Rock? “The Second Chance” opens with powerful vignettes and never rises above them. One vignette after another pasted together to form a cinematic mosaic that never really achieves the goal of story. At least not one story, unified by plot and unfolding through three acts punctuated by intriguing plot points, or story turns. Not one story that allows us to know and embrace the characters to the point that what they say or do really matters. There are elements of what makes a great film, interesting character traits (Sonny is a believable and, perhaps if we knew him at all, loveable man), conflict, theme, visual elements and interesting camera work and cinematography. But none of the elements ever really come together to rise above TV series mimicry or movie of the week schmaltz and create a great film. The whole piece thumps along from vignette to vignette, eventually reaching a denouement that is nothing approaching climatic. Many of the vignettes reveal wonderful human values such as courage, sacrifice, humility, etc., and would serve as excellent sermon illustrations on the big screens of most of our mega-churches, against which this film so poignantly rails. There is a message, a moral, if you will, but the story never really materializes. Here’s what the distributor says about their film: “The Second Chance is a film about two men—one from a white church in the well-to-do suburbs and one from a black church in the inner-city projects. Although founded by the same man, each church manifests its mission in a very different way. This film authentically tells the story of how a rebellious son and a street-smart pastor struggle to bridge the gap between their respective churches and cultures. More importantly, at its core, The Second Chance is about being willing to step outside your comfort zone and serve where you are called. Jeremiah Jenkins (J. Don Ferguson) founded Second Chance Community Church amid the turbulence of the civil rights demonstrations in the sixties. He has since moved from the inner city to the suburbs where he founded The Rock, a now mega church where community service often takes the form of large donations to the collection plate. He continues to travel the world establishing new churches, but he’s lost sight of the place where his journey as pastor began. His son Ethan Jenkins (Award-winning performer Michael W. Smith in his first leading role in a feature film) recently left his wayward lifestyle as a West Coast musician to serve as associate pastor at The Rock. He’s busy, affluent and caught up in the big business of a big church. His ministry is more about Sunday simulcasts than service to others. He’s rocking the pulpit and the boat at The Rock, and the church board decides Ethan needs to take a little sabbatical. to Second Chance. 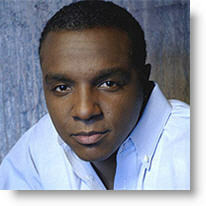 Jake Sanders (introducing Jeff Obafemi Carr) is the Pastor of Second Chance Church. He is street tough and a committed servant to his community. He works hard to keep his church together, and he resents the arrival of Ethan with his fancy car and his “cash can solve anything” attitude. Sparks fly from day one when Jake takes Ethan on a tour of the “hood,” and the various situations they encounter lay bare Ethan’s misconceptions and insecurities. He resented Jeremiah’s decision to move to the suburbs, and now he resents being saddled with his son. Over the next few weeks Ethan tries gamely to fit in at Second Chance, but even his best efforts end in frustration and failure. Forced to work side by side with Jake, he discovers there is no boundary between the streets and the sanctuary. When the youth pastor from Second Chance takes a beating so that a young man can leave a gang, it shakes Ethan to his core. He questions his own courage and the depth of his Christian convictions. 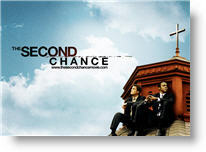 “The Second Chance” has its place, and certainly a very nice Sunday School curriculum could be written and distributed using this film as a point of reference. We can learn much from the vignettes from Nathan and Jake’s lives, or even the lives of Tony or Sonny. But in the end, this type of film sets Christian filmmakers back to where Contemporary Christian Music was in the eighties, sub-standard knock-offs of mainstream art. What really bothers me about this film is that it really amounts to a “dirty laundry” diatribe against the current mega-church bureaucracy that really, in the end, is an intramural debate and ought not be so scathingly aired in public. All of those folks who skip church on Sunday morning and cry “hypocrite” are vindicated, to some extent, by this film. It just so happens that for the most part I agree with producer, writer, and director Steve Taylor, and have since his eighties music run with songs like “Color Code.” Some in the church have turned to high dollar naval-gazing and the rank, borderline-blasphemy of church growth for the sake of growth. All of the “activity” we enable our brothers and sisters to engage in tends toward legalism at best and out right idolatry at worst. We try to earn the stripes of our salvation and all the while ignore the One by Whose stripes we are healed. We do, do, do and go, go, go often to our own spiritual detriment. We miss the point that our good works flow FROM faith, rather than acquire it. If you want a wonderful, feel-good, popcorn and Pepsi evening at the local Cineplex then I highly recommend “The Second Chance”. If you want to see excellent filmmaking replete with engaging characters, solid plot and sub-plot lines, unexpected plot twists, and a powerful, climactic ending, go see something else. And when this film comes to DVD, buy it or rent it for your pastor and church governing board. Positive—My husband, brother-in-law, sister-in-law and I all really enjoyed this movie. We also appreciated the reminders: love each other despite your differences, get out of your comfort zone, help others, and place people (relationships) above everything else. It’s not just a “feel good” movie, it also makes you examine yourself and think about very relevant issues. I also found it very refreshing to hear Jesus’ name used in prayer and reverence, rather than in vain. The movie quality wasn’t great, but it was good enough. Over time I think that the Christian film industry will improve, just like the music industry has. However, if we want to see this happen we MUST support this movie and others in the same genre. Don’t just complain about the lack of good movies out there. Go out there and pay to see movies like this one so more can be made, and in the process the movie making quality will improve. Positive—I am a pastor, and I have to say this film challenged me on more than one occasion. Rather than seeing a series of “vignettes” (see main review), I saw a realistic and often gritty drama; though if you think about it life is a series of vignettes. I can see how it would be easy to criticize this movie from a lay person’s perspective, but as a pastor I truly appreciated Mr. Taylor’s very well made and well thought-through movie. I see that other commentors have called the movie out because of its depiction of pastor’s swearing from the pulpit, guess what some pastor’s actually do struggle with bad language (much in the same way they struggle with lust, pride, arrogance, greed, etc.) as not all pastor’s are born into the Christian lifestyle. As for slamming “mega-churches” and airing the churches dirty laundry in public… I say kudos to Mr. Taylor for being willing to show the church as it really is. For too long now, the church has become more focused on meeting the budgetary needs of the church than meeting people’s needs, which is one of the underlying story in this mutli-leveled movie. Someone also wrote that this movie mentions Jesus only once and therefore could not safely be deemed a “Christian” movie. Well, again, as a pastor, I personally don’t go around with “Jesus” and “biblical” quotes coming out of my mouth. As well as preaching Gospel truth, I try to show Jesus in everything that I do, something this movie portrays and should be commended for. I loved the footwashing scene, and anyone who is a Christian should appreciate such a scene of self-sacrifice that shows a deeply theological truth. I also liked the way the film did not have an overly happy ending, although the main characters had found peace and joy, and I was left wanting more. Positive—This is a well made film which illustrates the importance of denominational over-site and Higher Authority. It also illustrated the problem of mega-churches—too much emphasis on business (selling books, tapes, videos), and production of am entertaining worship service made for TV (music, videos on the big screen, sermons with Power Point presentations), and not enough emphasis on the Real Presence of Christ. The scene with the washing of the feet was a nice touch. Too bad more of the congregation was not there to witness it. Positive—…I saw an early screening and it was great. It has themes of racial reconciliation, cross cultural ministry, and forgiveness, in addition to being humorous and incisive. Really draws you out of your comfort zone. We are planning to have a group from our church go see it along with a group from an inner city church that we’re partnering with, and then we’ll go someplace for discussion afterwards. I’d say its appropriate for older kids but not little ones (PG-13). There is a discussion guide available online at www.thesecondchancemovie.com. Neutral—I was disappointed by the use of the words da** and a**. I understand that some people don’t consider these to be curse words, and I could have overlooked the a** possibly, and I understand that the Pastor of Second Chance had a cussing problem, but it could have been handled better—as in the scene at the beginning where his wife jumped in and kept him from finishing the word. As Christians, I feel that we are called to the highest standard, and while we aren’t perfect, we should always strive to be our best, and to give our best. I don’t feel that God would make exceptions for “acting” it is still a compromise. 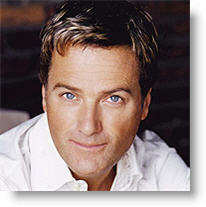 Other than that it was a great movie, but I am still highly disappointed in Michael W. Smith. 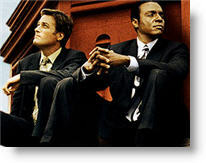 Neutral—I bought this DVD when it came out, since I am a Michael W. Smith fan. I thought that Michael did a good job for his first time acting. What I didn’t like about this movie was that Jeff Obafemi Carr’s character as a preacher cusses in this movie. BUT I do find that he was sorry for it and that it shows that no one is perfect, that is why we need Jesus’s in our lives. I also didn’t like that they made out whites to be the bad guys, that we are are so not into wanting to get out of our comfort zone to help people and that Michael W. Smith’s character is made out to be this white rich preacher who is basically a spoiled brat. The movie ends on a good note, and I liked the chemistry between Michael and Jeff. Overall, I say that the message was good in it, but for a Christian film, I will say I was disappointed that they had to put cussing in the movie. There are some drug references, also. Negative—I was very disappointed overall, there were GREAT points, and you could see spiritual growth in several of the characters. But, any movie that justifies a pastor cussing-out of anger from the pulpit is offensive. I gave the movie time; I thought they would show that pastor “growing” and learning to walk more like Jesus, but it seems they just showed us why he walks his own walk. Negative—I was very disappointed with this movie. When there is finally an opportunity to share the “good news” what we got was a less than lukewarm presentation of Christianity. There was a good point made for getting off the comfortable pew and putting your faith to work. However, we all know the saying “going to church does not make a Christian any more than sitting in your garage makes you a car.” The only reference to Jesus was when they sang “On Christ the Solid Rock I Stand” at the end. Church doesn’t save people—Jesus does. If you are going to call it a Christian movie, there should be some Christ in it. Positive—Wow! way to go!! I thought this was a very well made film, not to mention the cast was excellent (especially Smith!!!) I really liked the story, and I was only bored a few times. In the story, “Sanders” (a pastor) has a little trouble remembering not to swear, so he slips up a few times. Rather then finding this offensive, I thought it was humorous. One thing that really annoys me though, is the whole shaky camera thing; I really dislike that. Honestly, it seemed to last for a while, and when it finally wasn’t shaking, I had a headache. But, it was a good movie. Bravo!! !